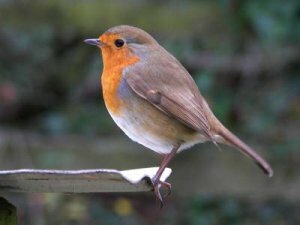 Birdwatching is a huge hobby (even career) in Britain - there are huge numbers of reserves and organisations dedicated to protecting birds and wildlife and the number of birders in the UK is equally huge: the RSPB has over a million members. The birds might not be as colourful or flamboyant as in many other parts of the world, but it gives you the challenge of brushing up on your ID skills on waders, gulls and warblers. L. Svensson, K. Mullarney, D. Zetterstr�m and P. J. Grant, Collins Bird Guide, 2nd edition, 2010.